Susie Lund joined HRC in 2008 with 12 years of experience in the hearing aid field. Susie lives in Arvada with her husband and enjoys gardening, camping and fishing in her free time. As Audiologists here at Hearing Rehab Center, our job is to help people hear better, not to just sell them a product. 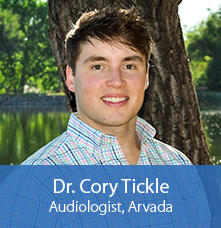 It is important for a person with a hearing loss to understand their hearing loss and be educated on their options. We feel that through education, we can spread the word that it is “okay” to wear hearing aids and that when properly fit, hearing aids really DO work! !